Hikvision, Dahua, another China rival is out for you. The outlaw Guangzhou manufacturer Longse recognizes the growing conflict for Hikvision and Dahua with their OEMs (see Dahua OEM directory, Hikvision OEM directory) and wants to be the solution, as they explained to IPVM at ISC West. In this note, we examine the pros and cons of Longse as an OEM to major Western brands. *********, *****, ******* ***** ***** ** *** *** ***. *** ****** ********* **************************** *** ******* ******** *** ********* *** ***** **** ***** OEMs (******** *** *********,********* *** *********) *** ***** ** ** *** ********, ** **** ********* to **** ** *** ****. ** **** ****, ** ******* *** **** *** **** ** Longse ** ** *** ** ***** ******* ******. ****** *** ****** * *********** ****** ** *** *** *** of *** ******, ** ******** ******* *** ********** *** ****** sold ******* ***** *********************. *** ******* **** **** *** ****** ******* *** $***+ million *** *** **** ******** ~* ******* ******* ** ****, which ** ***** *******, ** ********, ***** *** *** ***** average ******* ***** **. **** **** ********* *******, ****** ******* are ****** ****** ****, ******* ******* **** *** ****** ** Dahua *** ********* *** *********** ******** ** ***** ******* *************. ** *** **** ********** ** ****** ******* ** ***** *** *********, ****** *** ******** *** ***** *** ** ******* ********* similarly ** ***** ****** ****** *** ***** ****** ** ***** cameras.  *** ***** ******* ***** ** **** ****** *** ****** / copied / ***************** *** ***** ******* *** ************** ****** *********. ****** **** **** **** **** ******** ***** ****** **** the ********* (*** ********* *** ****** ** ****). ** ***** *** ********* ******** ** ****** ***** *** ****** sales *** ********* *****, ***** ******* **** **** ********** ********. It ** ****** *** **** ** **** ** * '******', which ** **** *** **** ******, **** ***** *** ********* have ******* ** ***** *** ***** ****** ******* ***** *** same ***** ******* *** ******* ** ** ** *** ****. Moreover, **** *** ********* ********* ** ***** *** *********, *** OEMs **** ** ******* **** ***** ********* ******* ************* ******** (i.e., ********* *********,*** ****************, *.*.) ** ******* **** ****** **** * *******(*********) ***** ** *** ******* **********. ** ******, ****** *** ******** ** *** ***. ***** ******** of ******* ******** *** ****** ********, *** ******* *** *********** is *********** ** *** *** *****. ***** * ******* *** may *** **** ***** ******' ***** ****, **** ** **** about ************ ******** ******, *. *., ** * ******** ****** ******* company ***** ****** *** ***** ******** ******** *** ********* ** patents ** * *** ******** ******, *** *** ***** ** at **** ** ***** ******, ***. *** **** **** ** **** ***** *** *** **** ************* in ***** **** *** ****** *** *****, *** *** ******** quality, **** ****** ******* **** ****. ******, ********* *** ****** the ****** **** ** ***** ** **** ** **** **** Dahua *** ********* ******. ****** ** ********* * **** *** ******* **** **** ***** with *** ****** *** ** ***** *** ********* ********* ** well. And how long will it be before Longse follows their Chinese compatriots and starts promoting it's own brand and selling against the western OEM's? Or before we find out that Longse has all those back door and hacking issues as well. And how long will it be before Longse follows their Chinese compatriots and starts promoting it's own brand and selling against the western OEM's? For sure, it's a risk. However, I am skeptical that there will be many, if any, big brand pushes from the other Chinese video surveillance manufacturers. It's really expensive to build a brand and you have to absorb fairly significant losses at first to even hope of eventually succeeding. For example, Dahua USA with ~100 going to 200 employees is likely to lose $10+ million this year on their branded USA business. There's very few Chinese video surveillance manufacturers able to withstand that loss / investment. Related, we spoke to a few of the 'bigger' non-Hikua Chinese manufacturers and that was a common theme - how expensive it is to sell / market in the USA, e.g., the $100,000 to $200,000 average sales person compensation is incredibly expensive to them (their words). Update: one other data point - Dahua is approaching $2 billion in annual sales, Hikvision approaching $5 billion in annual sales; All the other Chinese manufacturers are in the few hundred million range or less, so none have deep pockets to readily fund such expansion. It's always possible that they evolve into doing so but it will be hard. What models have you tested? When do you test them? What specifically did you find? Can you share any details or evidence from your testing? 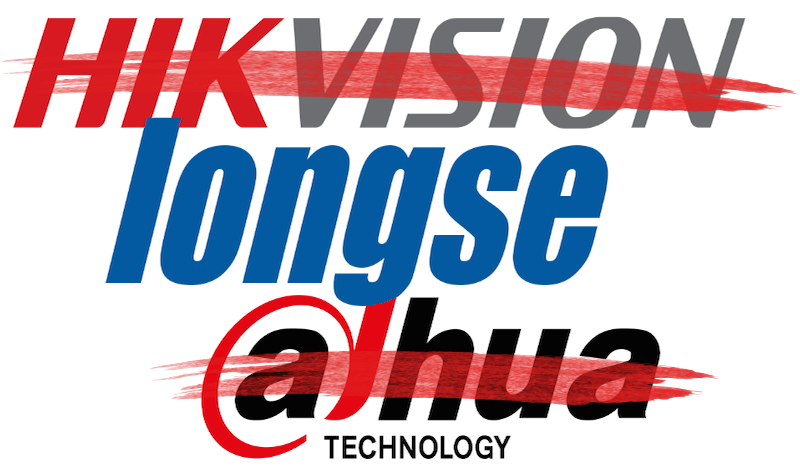 We certainly concur that Longse's quality is not at the same level as Dahua and Hikvision overall. However, their quality has improved and in some areas it is becoming comparable. For example, unlike yourself, we shared / linked to our test results. I welcome criticism but if you are going to do it please share some supporting evidence since we have already shared ours. Huge Risk to OEM from Longse, the brave ones can take this risk to move forward. Sales people at this company are like a hungry dog with a bone. Once they get your email address they think they can hound you into submission. Relentless! They emailed saying they stopped or changed their practice last year but not from what I continue to see. Update: Longse says they manufactured 8 million cameras in 2016. I don't have independent verification so factor that in but thought it was worth sharing.